The winners of this year’s President’s Medals, awarded by RIBA, were announced about two weeks ago, but I’ve only just taken a look at the projects. (The entirety of the listed entries can be found here and here – there are 172). [Images: Two “living studies” by Yew Choong Chan: “Escherichia Coli Colony Study Microscale” and “Cladosporium Fungi Colony Microscale,” part of V.En. (Vertical Energy), Lea Valley, London]. So out of a combination of enthusiasm, awe, and feeling the Christmas spirit, I’ve decided that some of the winners are interesting enough to post about; I’ve chosen, I think, four in particular. Maybe five. (They’re really good). This is V.En. 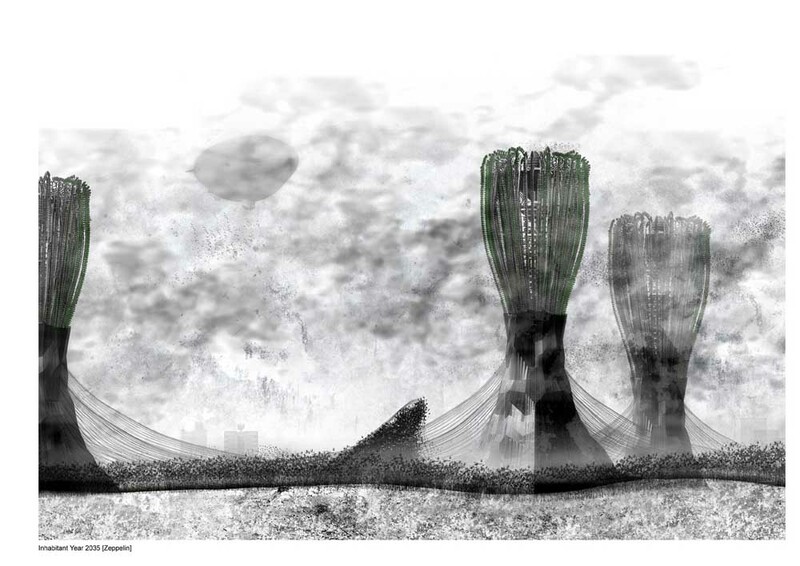 (Vertical Energy), a project by Yew Choong Chan, sited in the Lea Valley, London. 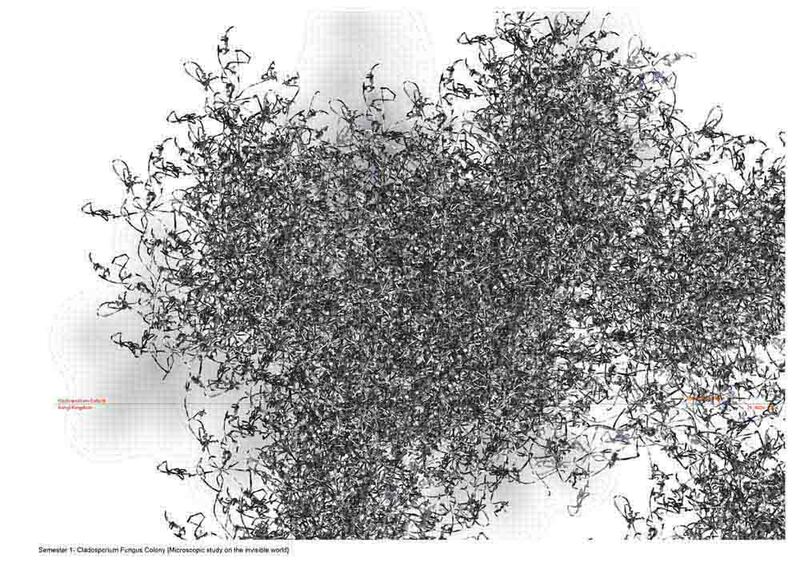 It starts off with some swarming and growth diagrams – of both bacteria and birds – extrudes a series of mechanical towers out of that motion-structure, then projects all of this roughly 50 years into the future. 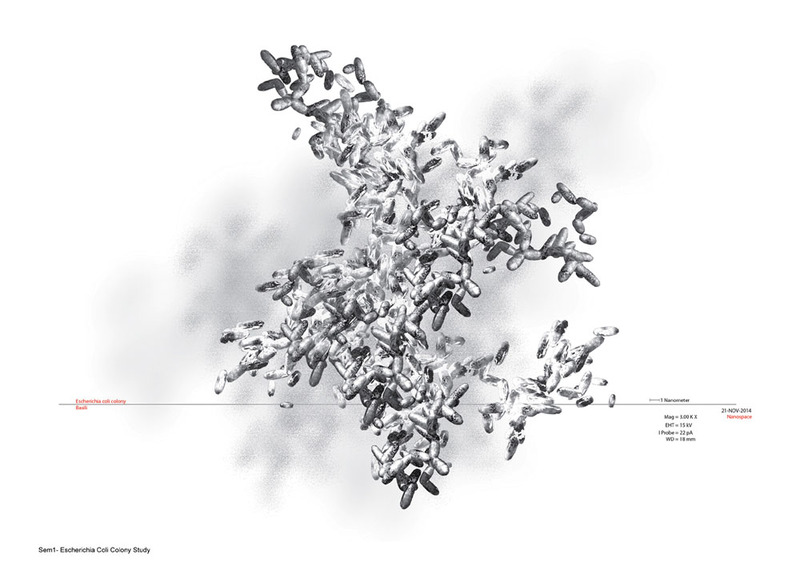 Nonhuman species as models for architectural form. 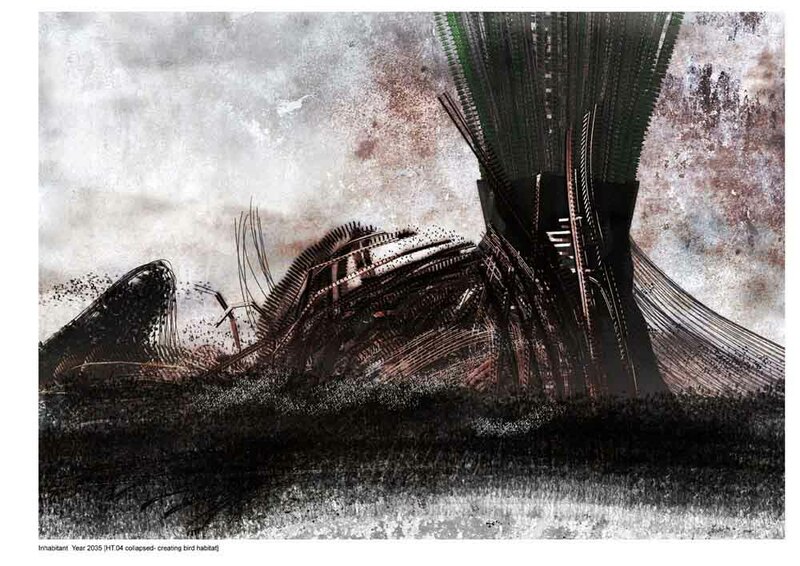 The skies are grey; the towers have toppled, forming bird sanctuaries; the whole thing is further proof that architecture students could very well be the future of the entertainment industry… Films, games, novels. 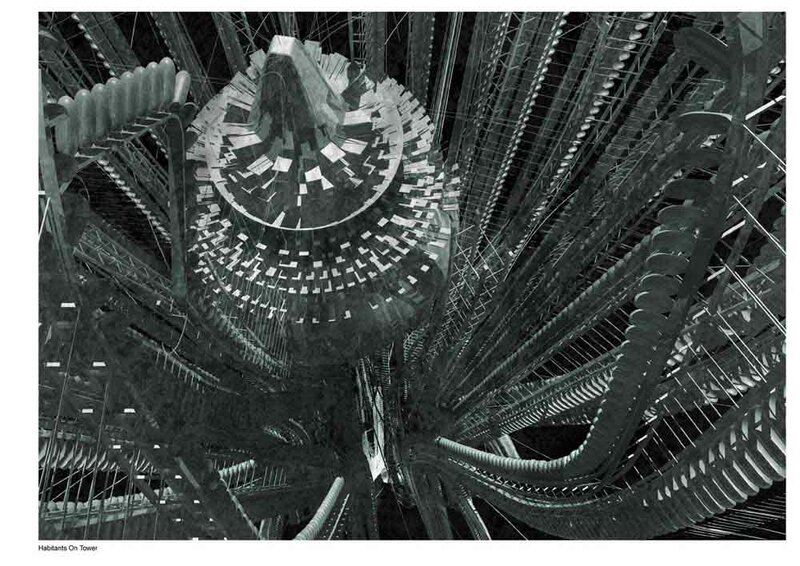 [Image: A very Matrix-like “Tower HT.05” – an inhabitable machine-flower, anchored in the valleys of London]. 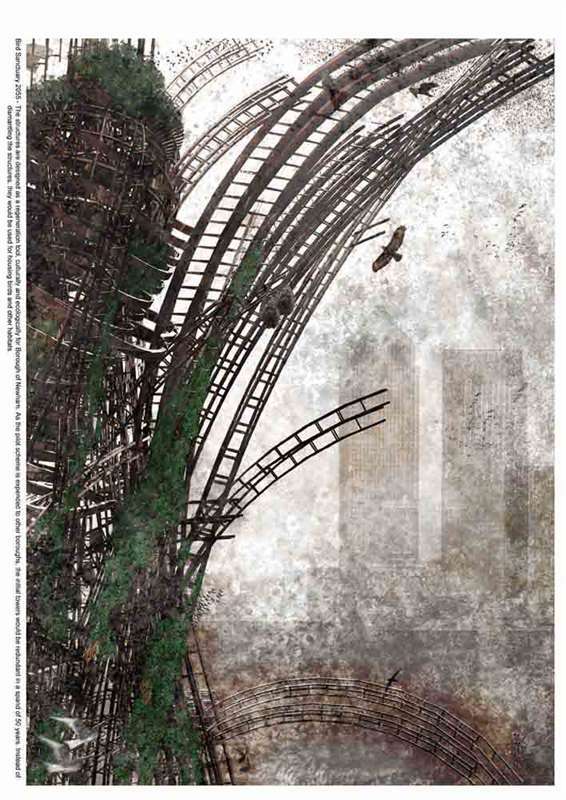 [Images: Like film stills, or scenes from a graphic novel, these are a “predicted visual representation of the site” in 2035, including tower HT.04 – which has collapsed (middle picture), creating a bird sanctuary. Finally, the bird sanctuary in 2055].